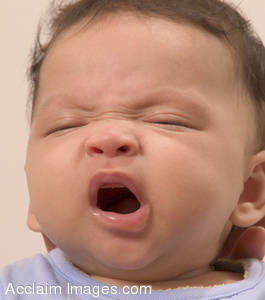 Description: Stock Photography of a Baby Yawning. This picture shows a young baby, about a year old, yawning. This image is available as stock photography and may also be purchased as a poster art print.